I love to travel. I save my money for trips instead of fancy cars or the latest gadgets, because travel has changed me in ways that those things never can. Travel gives me things that the newest phone never will. Whether you take a beach vacation or explore museums in Europe, travel changes you. Travel makes you different. Strong. Independent. Capable. Flexible. Confident. But the most important thing that travel done for me is that it’s taught me how to be open. Travel has opened my eyes to things I never would have seen if I had never left New York. Travel has opened my mind to ideas I never would have considered if I had only ever met New Yorkers. Travel has opened my heart and my world. Travel has taught me to be open to breaking from the norm, to be open to doing things differently from the way other people do them. You don’t have to go where everyone else is going. Your vacation doesn’t have to be like everyone else’s. This world is so big. You can go anywhere you want and do anything you want. I think that is a beautiful thought. I remember a lot of people thinking Nick and I were weird for choosing to go to Alaska for our summer vacation. Sure we had to wear hats and jackets in July, but it was one of the best times of my life. 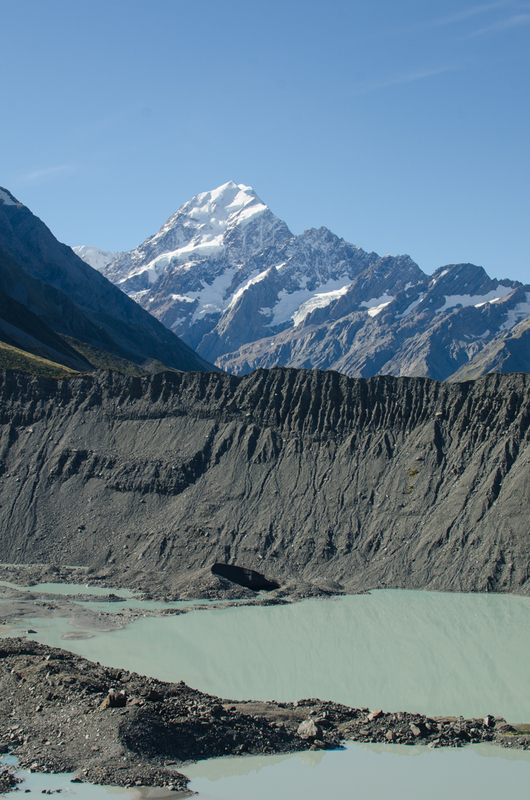 We got to see glaciers, go hiking, and take a helicopter ride — all things that we love to do. Whether you are playing with sled dogs on a glacier in Alaska or riding roller coasters in Universal Studios, the beauty of travel is that you can do whatever you want. And, you can be whoever you want to be. Travel has taught me to be open to pushing my limits. 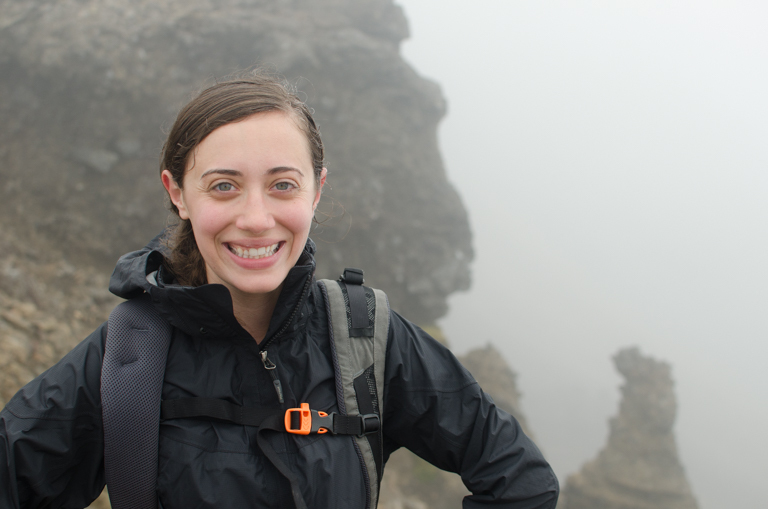 Hiking the Tongariro Alpine Crossing is my favorite example of this. If I can do a 19.4km hike up and down mountains in the rain, I can do anything. Any time I’m at the gym and I don’t think I can keep going, I think of myself on that hike and I feel so much stronger. Travel has taught me to be open to trying things I’ve never tried before. Like when I went to Denmark with Nick and my sister-in-law and found that people like to eat outside in the cold in the middle of winter. 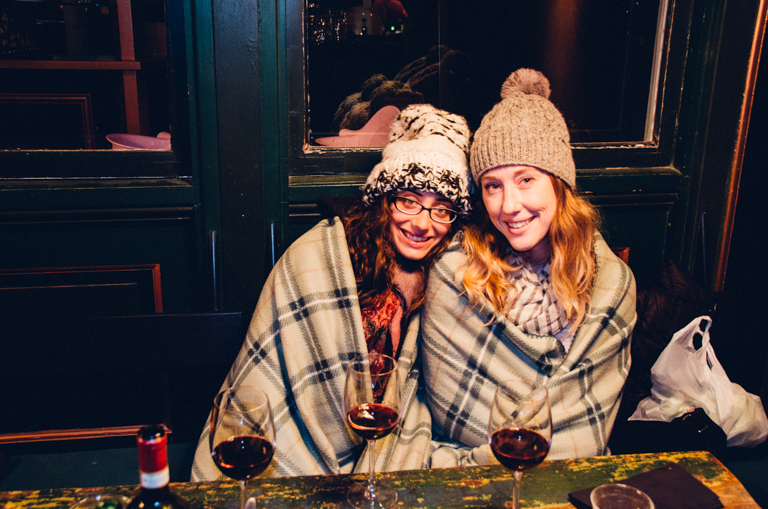 They just throw on some blankets, open a bottle of wine, and sit under heaters. Coming from Hawaii, I thought everyone was nuts. But I gave it a try and it is one of my favorite memories from the whole trip. When in Rome…. The more you try new things, the more open you become to trying new things. 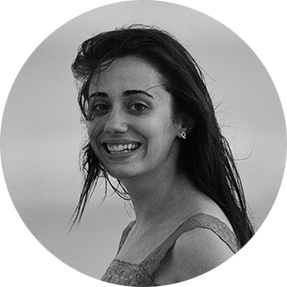 Travel has taught me to be open to new ideas and to people who think differently from me. I think that travel can make you a more open-minded, compassionate person when you see that not everyone thinks, talks, and believes like you or the people you are used to being around. When you’re traveling, you immerse yourself in a new culture. If you take the time to pay attention and open yourself up, you can learn so much from people who are different from you. 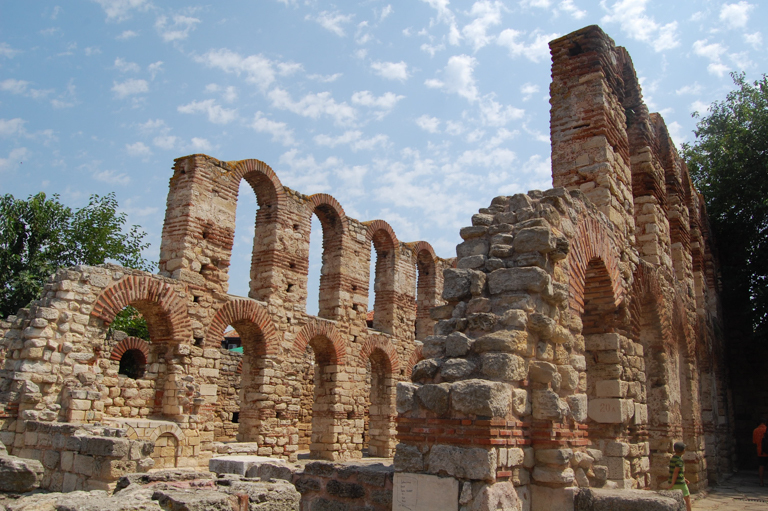 I learned so much in Bulgaria, a place I never though I would go until my friend invited me to come see her country. Travel has taught me to be open to changing my mind. When you’re on vacation, you can do anything you want. Just because you planned to do something one day, that doesn’t mean that’s what you have to do. Every day is a new adventure and sometimes, the best days are ones that aren’t planned at all. I’ll never forget this spontaneous hike Nick and I took when we were in New Zealand. Travel has taught me how to be open to possibilities. When you are planning a vacation, literally anything is possible. Why not break away from what you’re used to and try something new? The internet is fill with ideas. 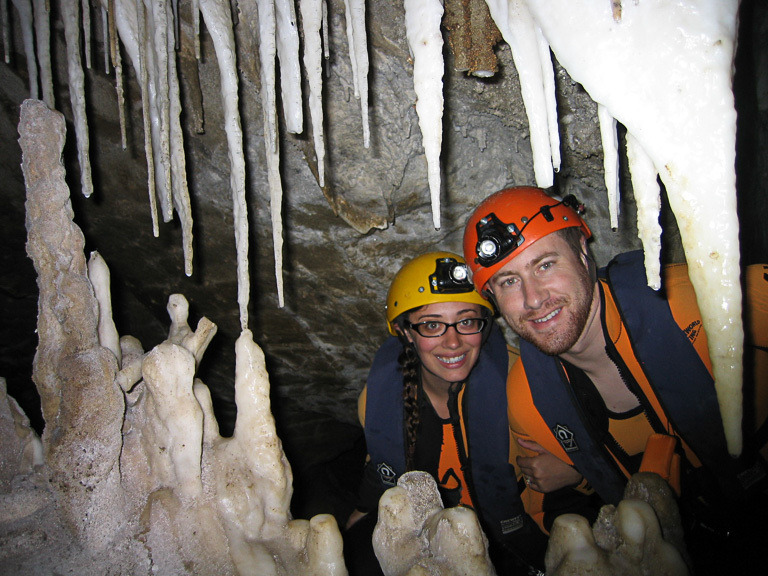 Caving in New Zealand? Why not?! It’s not something I ever thought of doing until I did some research. The possibilities are endless when you’re traveling and in your life. Travel has opened my world to this beautiful thing called spontaneity. Maybe my new favorite example of this is this past month, when Nick and I decided to go to Yosemite on a whim while visiting his family in California. We were already in California when we realized that we had a couple of free days. We decided to make the most of them by going to one of our favorite places. The more you do things like that, the more you realize you really can do whatever you want even without much planning. The world is your oyster. 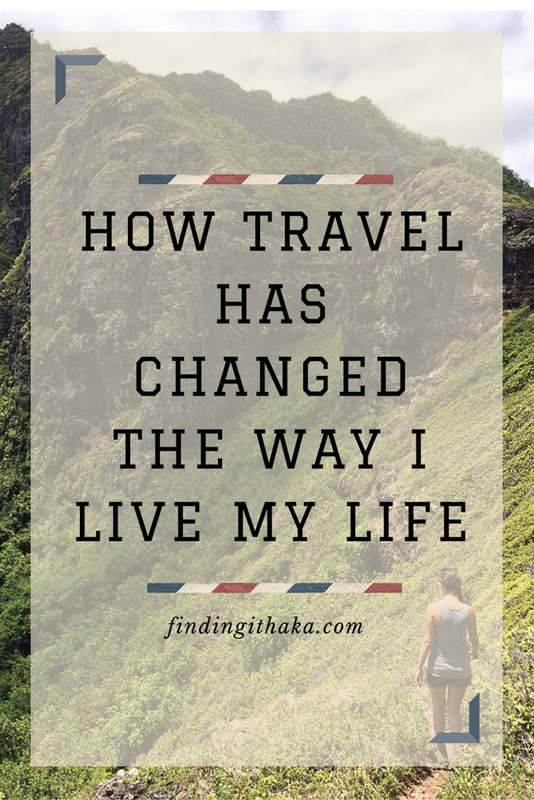 The experiences I’ve had through travel have changed the way I embrace everyday life. The confidence I’ve gained from opening myself up to new experiences on my travels has made me a lot braver in everyday life. I feel so much more open to new ideas and new experiences. 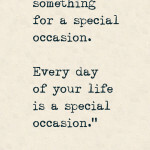 And to me, that is what makes travel such a worthwhile, lifelong endeavor. You never know how a trip will change you. You never know how a new place will open you up to something you never, ever, could have thought of before. You never know how a trip will challenge you. I used to be afraid to veer away from what I’ve always known, what I’ve always done, or what I was expected to do. I always wanted to fit the mold of what I was supposed to be, until I realized that I don’t have to. I can be whoever I want to be, and that’s a very freeing thought. My travels have taught me that I’m more resourceful than I ever knew, that the best days are the days where you are completely spontaneous, and that it’s okay — even good — to change your mind about things. So when things don’t go the way I planned, I know I can come up with a different solution. 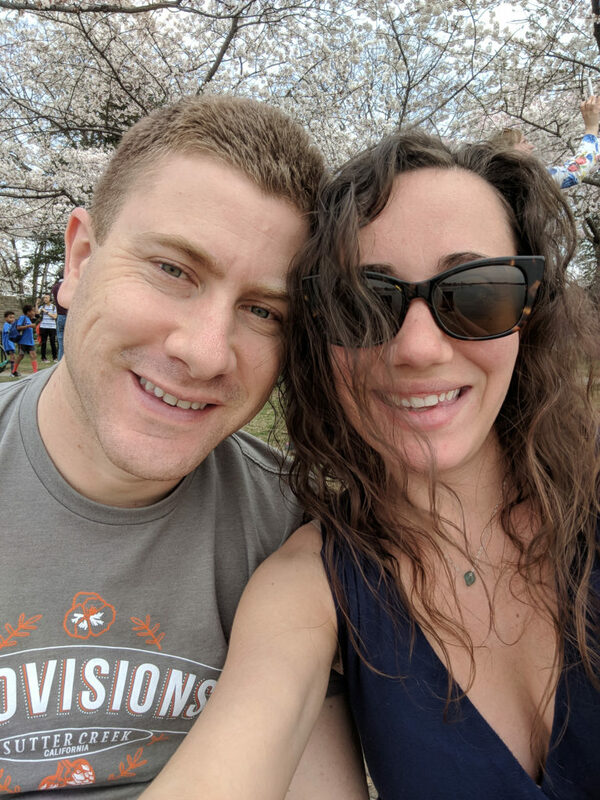 When Nick and I realized that we wanted to completely change our life plan, we knew that it was okay to change our minds. When the Navy tells us to pack up and move across the ocean, I’m not afraid of the unknown, or of living somewhere new. When I meet new people in new places, I’m genuinely interested in people who are different from me. I still have a lot to learn and a lot of places to go. But I think that I’m better for my travels and I will keep pursuing them. It’s true what they say – travel is the only thing you can buy that makes you richer. 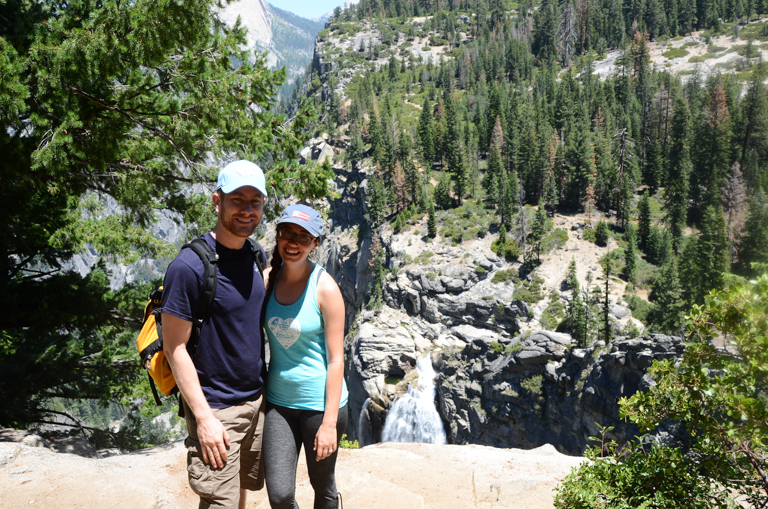 Linking up with Angie, Jessi, Emma, and Nano for my favorite monthly travel linkup. 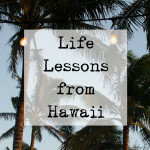 This month we are talking Lessons Learned While Traveling. You can share anything: practical advice, travel hacks, observations, tricks of the trade, favorite secrets,things you wish you had known…Head on over to one of their blogs to link up and join in the fun. It’s always a good time. This weekend is a special occasion. Today should be our wedding anniversary. I’m glad it’s not. What an insightful article! It’s true that traveling does make us open, indeed. One of my fave travel quotes go: “The world is a book and those who do not travel read only one page.” If you’ve read only one page of a book then you certainly don’t know a lot, and you’re very close-minded. By the way, love the Ravenclaw pic. Where was that taken? Fellow Potterhead over here, have you read Cursed Child yet? That’s a great quote — it is so true for reading and for traveling. I think we’re all a lot better for both. 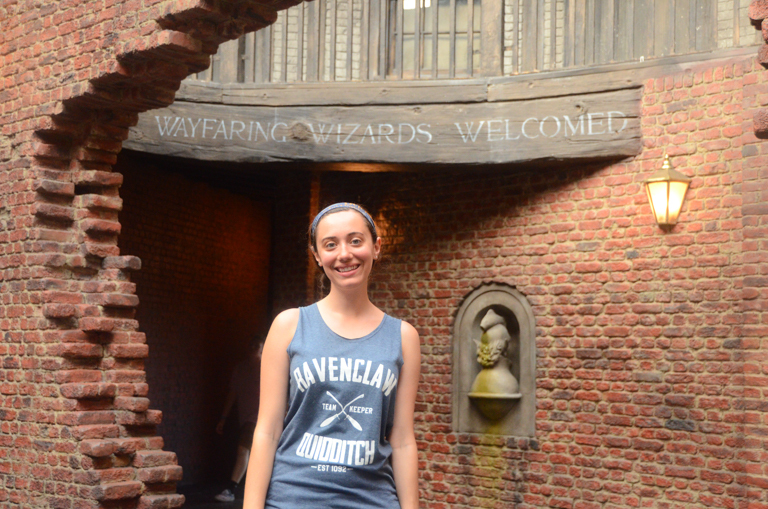 I got that Ravenclaw shirt on Etsy and the picture was taken in Universal Studios at The Wizarding World of Harry Potter in Florida. My husband and I went for a few days before we moved to Hawaii and it was so much fun. I will be posting a lot of pictures up on the blog soon! They did such a great job of really making you feel like you are in Diagon Alley or Hogsmeade. The attention to details were incredible. I had so much fun just walking around and looking at everything. And of corse drinking Butterbeer! I pre-ordered The Cursed Child and it’s supposed to be coming tomorrow. I’m excited to get it, but I have mixed feelings about reading it. Part of me is hoping that I will get to see the play one day. I would love to see the play before reading the script, but I don’t know if I can wait that long! Have you read it yet? “The more you try new things, the more open you become to trying new things.” So, so true. Loved this sentiment and this post! Oh thank you so much. 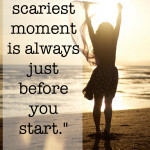 I think it really is true, especially for someone like me who used to be afraid of doing everything. Now I want to go everywhere and do as much as possible… Wanderlust never goes away, it just grows and grows! I completely agree with this article. Traveling opens so many doors that you may not realize at first, and it’s something you’ll always appreciate in the end. It’s so true. I definitely didn’t realize as I was hiking the Tongariro Alpine Crossing what confidence it would give me later in life. And, I love having these special memories and pictures to look back on. My husband loves animals and this was something he had always wanted to do. It was one of the coolest experiences I’ve ever had. Alaska is one of my favorite places I’ve ever been. 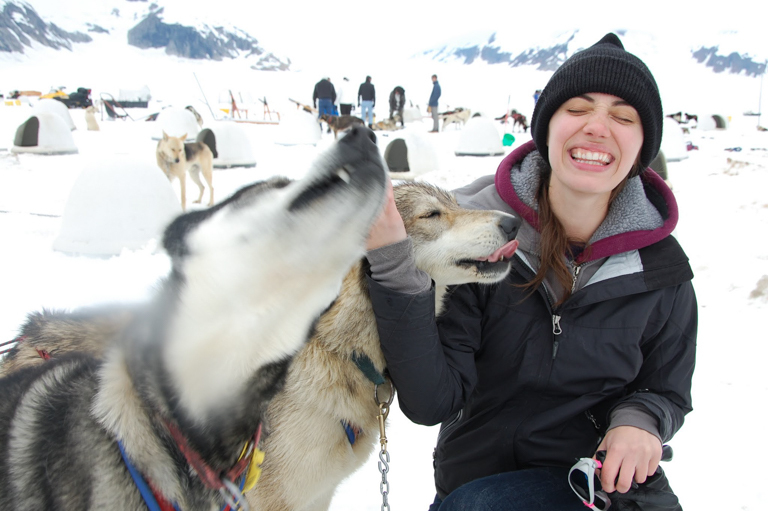 The sled dogs were so cute and cuddly and loving and I wanted to stay on the glacier and live with them! Some people actually do! I love your list of ways travel has changed you 🙂 I think eating outside under blankets and heaters would be awesome!! And those sled dogs give me all the heart-eye emojis! Ravenclaws forever! I probably would have guessed you are a Ravenclaw! I took the sorting very seriously and so Nick and I both took the quizzes on Pottermore. I knew what we would get but it was fun to have it confirmed that we were both Ravenclaws. He didn’t want to wear a shirt so I got him a button to wear when we were in the park. Ravenclaws are the best because they are just themselves and they just do their thing! What a beautiful post! I couldn’t agree more 🙂 Travel opens us up in so many ways. It really does. And the best part is that there are so many places to go and so many experiences to be had. The more I travel, the more I want to travel! I love this post so much! I’m definitely a very big planner, but one of the things that I’ve loved on some of our trips lately is just being spontaneous and trying out new things. Travel really does open your eyes to different things and cultures, and I can’t wait to see what other travel adventures you go on now that y’all are in Hawaii! I used to be the same way with planning! But I think that with Nick’s crazy schedule, I’ve learned to be more spontaneous. Sometimes we don’t know we can go somewhere until the very last minute. When we went to Denmark, we planned it with hardly any notice because we had no idea Nick was going to have that time off. It was our first trip to Europe together, so you would think that we would have planned out everything so exactly like we did when we went to New Zealand (For New Zealand, Nick had this huge binder printed out of our itinerary f or each day, complete with travel times and what time we should wake up!). But for Denmark, we basically spent a few hours deciding where to go, booked tickets, showed up and then had a blast. It was either do it that way, or don’t go at all. It was crazy and so fun. I love you and I definitely agree. Hawaii would be a great start 😉 You know you are always welcomed here and I am a great tour guide! Fantastic post and I loved this month’s link up! Travel really teaches you so much! Thank Angie and thank you for hosting this linkup! This month’s topic is awesome — I’m learning so much!! Love this and it’s so true. Traveling has changed my life so much and taught me some of the hardest/most needed lessons about life. Also, I feel you on wanting to visit places people normally don’t – I think Alaska looks amazing, but Josh needs some convincing. I needed some convincing too, until I saw pictures of those glaciers! Honestly if you go to Alaska in July it’s not really cold. And it stays light out until like 11pm! The only reason I was so bundled up in that picture was because we had taken a helicopter to the top of a glacier! I hope you can convince him to go! I loved Alaska so much. We took a cruise and it worked out well because there are a lot of places that are hard to get to. The ship was able to go through Glacier National Park. We spent the whole day sailing through the glaciers. well said! travel has given me some of the best moments of my life! Thank you! Me too! I always try to remember that when I am saving up for a trip instead of going out to dinner so much! Love this post – every day away from home is a learning day! So true Anna! And thank you. It really does seem like the more I travel, the better life in general is. You learn so much when you’re traveling that you just can’t learn when you’re in your daily life. Thanks, I do think so too! Maybe that’s why once we start traveling we just don’t want to stop! Yes definitely! I know a lot of people who would rather have a nicer car and that’s totally okay, but I would rather give up certain things so that I can travel more! It’s something Nick and I talk about a lot when we are trying to decide to buy something or how to budget our money. Travel is a priority for us!! This is such a fantastic, life-enhancing post! Travel opens our eyes to other worlds, other possibilities in the most magical way. Thank you Clare! I love that you just never know how it’s going to do that. One of the things I love most about traveling is how many unexpected moments there are, how many ways that a new place can surprise you or teach you things about yourself that you never knew. I have not traveled as much as you, but the trips I’ve taken have been some of the best moments in my life (Hawaii OBVIOUSLY, London, Amsterdam). I think I told you the other day when we were in my car that you impressed me so much when I came to Hawaii. You were so independent and open and capable. I’m proud of you for learning to be that way. You have helped me to be that way in certain aspects of my life and I really appreciate that. I am going overboard right now but for some reason your posts always make me emotional!!! Love you bye! Thank you friend. It’s really only because I moved away and got to travel so much that I became that way and I’m so thankful for these experiences. Remember high school Carolann? ;)) I loved when you came to Hawaii so much and I can’t wait for you to come back to visit again. Having you in my life has made me a better person and I will always be thankful to you for that. What a lovely post Carolann! I loved your individual stories at each point, especially the one about eating outside in Denmark in the middle of winter! Thank you! Do you ever have this weird feeling where you know that this moment is changing you and you are not really sure why or how, but you know that this is an important moment in your life?? That’s kind of how I felt hiking the Tongariro Crossing and even just sitting outside drinking wine in the middle of the winter in Denmark. Life is beautiful! Such a lovely post, travel really does change you. It always introduces you to something new and changes your perspectives, a key part of life I believe! I think that is a key part of life too. You can’t grow if you don’t get fresh perspectives, if you don’t open yourself up to new ideas and new places and new experiences. Travel is amazing! Travel is simply the best thing in the world – we all learn so much about ourselves! Beautiful post, as always! I couldn’t agree more – and the more open we are, the more we receive… it’s a lovely thing. Thanks for linking up! That’s so true, Jessi — the more open we are, the more we can receive. I never thought about it like that but it is so true. I have to keep that in mind next time my husband wants me to do something crazy I’ve never done before. He’s the one that’s always pushing my limits, in the best of ways.